Plus is now aimed at hitting a larger demographic market. Magazines continually struggle to balance the realities and aspirations of the communities they speak to. Leaning too far one way, too often, can be isolating. 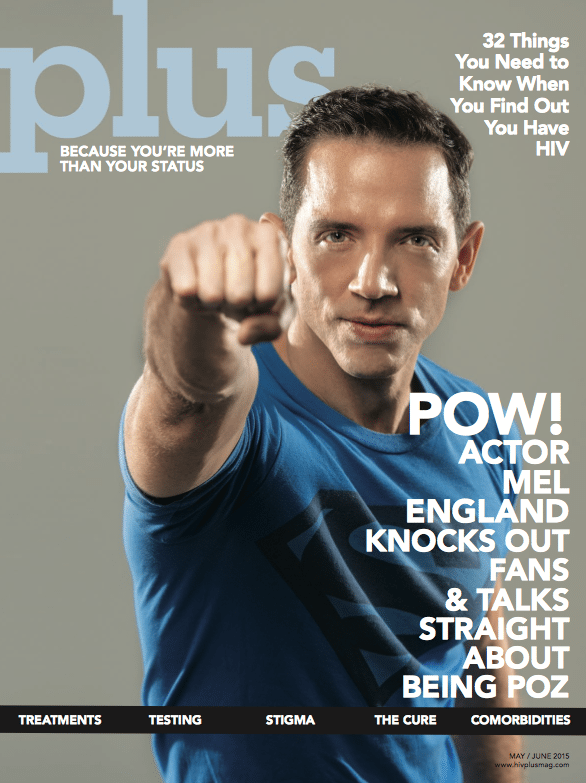 It’s an issue Here Media’s HIV Plus has weighed for the last several years and the magazine reached a tipping point last week, officially taking “HIV” out of its title. Fearing the stigma associated with the disease, readers wouldn’t take the magazine out of the doctor’s offices and professional facilities where it’s distributed, says Diane Anderson-Minshall, editor-in-chief of Plus. Removing “HIV” will hopefully remove that fear, she says, while also broadening its appeal in a play to attract both readers and advertisers. Under Anderson-Minshall’s purview since 2011, the title had already begun to widen its editorial scope. Now, it’s aimed more at health-conscious gay and bisexual men, instead of strictly at those suffering from HIV or AIDS. Last year’s U.S. Conference on AIDS was a turning point, Anderson-Minshall says. The magazine had a significant presence there, both in print and through its staff, and they took advantage by conducting focus groups with attendees—ranging from people with HIV themselves, to friends and family, to medical practitioners. Getting readers to pick up their magazine is a challenge for publishers of all stripes, but Plus’s distribution model makes the issue all that more important. The 225,000-circulation magazine is almost wholly controlled-circ and institutionally driven, free in bulk subscriptions to organizations providing services to people with chronic health conditions. Organizations don’t read magazines though—their clients do. And in an age of granular audience development, aiming at a demographic level, rather than an individual one, can make marketing harder. Broadening the potential pool of readers through a diversification of editorial coverage has made it work though. The magazine has increased its folio size by nearly 20 percent since Anderson-Minshall arrived, with close to a third of those pages sold as advertising.